Hello, and happy Saturday! I hope you’re having a great week and are enjoying the last few days of summer vacation. If you’re like me, you probably aren’t quite sure what day of the week it is, but you know that it’s most likely not August – #teachersummer – am I right?! In keeping with my back to school planning series, I’m sharing one of my ABSOLUTE FAVORITE tools today – Edpuzzle. If you’ve read my blog over the last few years (thanks!) you know that I’m a huge fan of Edpuzzle and use it daily in my modified flipped classroom. Edpuzzle has recently enjoyed a makeover and you may find yourself searching for some necessary features – like the assign button! No worries, you can still assign videos – multiple videos at once – through the sleek, redesigned Edpuzzle page. As I’ve shared before, my students use this great tool daily in our classroom to view and interact with instructional videos. I love the fact that I can not only monitor their progress individually and as a class on each video, but can also provide quick and effective feedback on embedded formative assessment throughout the video. This allows me to provide more individualized help and instruction to my students – it’s awesome! Learn more about using Edpuzzle in Chapter 1 of Illuminate! Be sure to sign up for the Illuminate: Technology Enhanced Learning giveaway! I’ll be giving away a signed copy of Illuminate every 7 days through August 18 … click here for more details. Earlier this calendar year, I access EDpuzzle for the first time since Christmas break, and what did I find? New updates! Teachers can now award partial points for student responses! Hooray!! …or can count the question entirely correct like this. Be sure to check out my EDpuzzle tutorials and other posts about this fabulous tool! Thanks for reading this super short post! 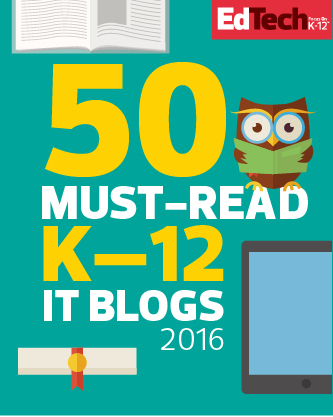 Check back soon for more fun information about HyperDocs, Book Snaps, and MORE! 2016 was a fantastic year for my little blog…I feel like I’ve grown exponentially as a teacher through sharing my experiences, ideas, and tips with all of you. 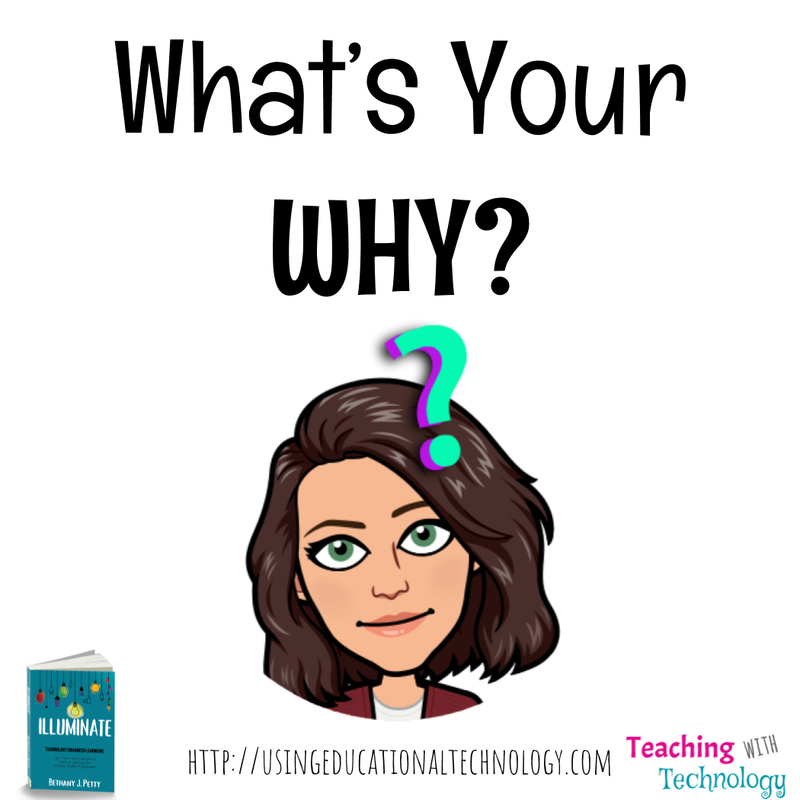 Blogging has encouraged me in so many ways and has pushed me to jump outside of my teacher comfort zone, as well as break down my own learning barriers by growing a FABULOUS PLN! I love sharing with you and feel so blessed to be able to do so! Ok, enough with the sappiness … on to the 10 most popular posts of 2016! Learn how (and why) to create a “view only” folder in Google Drive. You’ve no doubt realized that I’m a Google geek and LOVE getting the most out of my Google Drive experience! Google Classroom is absolutely fabulous and this update from April, 2016 was pretty exciting! Google Spaces debuted in late spring of 2016 and I definitely need to revisit this great tool! Spaces looks like a cross between Google+ and Classroom, and I think it has big potential for professional development! Ok, this was an exciting addition to Classroom FOR SURE! Scheduling assignments, announcements, and questions! Woohoo!! I LOVE EDpuzzle! EDpuzzle is one of those tools that makes my life as a techy teacher easier. EDpuzzle can be used in a 1:1 classroom or a traditional classroom. Teachers can assign videos, embed questions, and monitor students all from this wonderful FREE tool! Check out this quick guide to get started! I LOVE KAHOOT! It’s absolutely fabulous. Last year, Kahoot unveiled their “team mode” feature, which allows students to play as teams – hence the name! My students still love the “classic mode” of Kahoot, but the new addition is fun, as well! Google Forms are FANTASTIC! Prior to the “quiz” option, I typically strayed away from using Forms as quizzes. Now, I use it all the time! I can’t wait to see what comes next for Forms! Google Chrome is awesome, but using Chrome extensions makes your Chrome experience even MORE awesome – if that’s possible. I feel like I could create a new “Fabulous Chrome Extensions” post monthly … perhaps I shall! Have you tried Flippity, yet? It’s a FREE tool that I use to create review games, flashcards, and now random name generators! Flippity is now a Google Sheets add-on … more info on that, later! Quizlet – it’s not just for flashcards! Quizlet LIVE is an awesome way to encourage students to work together to review important concepts AND promote mastery learning! Quizlet contacted me not long after this post went LIVE (pun intended!) and asked to feature it on their blog! Super awesome! Well, there you have it! The 10 most popular posts from 2016. 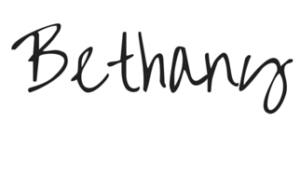 Thank you for following me and my blog last year! I hope you stick with me in 2017 for more fantastic ways to use educational technology to enhance the learning environment and increase student engagement! P.S. Don’t forget to register for the Amazon gift card giveaway by completing this quick little form! A Day in My Flipped Classroom Part Two: What does my flip look like? Welcome to part two of A Day in My Flipped Classroom! Today, I’ll be sharing how a typical day looks in Petty Wap‘s classroom. In a typical unit, which normally lasts anywhere from two weeks to a month and a half depending on the content, my students have between 3 and 7 instructional videos that they actively view. The videos are 3-7 minutes in length, and most of them are about 5 minutes long. When I began flipping my classroom two years ago, I made my videos WAY TOO LONG. One video was 13 minutes! I found myself rewording and rephrasing my content and basically reteaching in the video. This is NOT THE POINT of the video! Now, I have more practice with creating videos and know what my students need from the videos … I’ve found that I can effectively communicate a 50-minute lecture in about 5 minutes. The time freed by concise videos alone is amazing! There are MANY video creation/screencasting options available, from free to quite pricey. My tool of choice for creating my instructional videos in Screencastify. It’s a fabulous Chrome extension that allows me to save my videos to Google Drive or YouTube. My students also use Screencastify to create projects for class. The “lite” version of Screencastify only allows for 10 minutes of video and no editing tools. However, anything longer than 10 minutes is probably going to lose MY interest, much less that of my students! And, if I need editing software (I do one take videos, so editing doesn’t happen often – if ever!) I can use the YouTube video editor. Check out more about Screencastify and other fabulous extensions here. As my students enter the classroom on “video day,” I start by directing them to Google Classroom where they’ll find their assignment. I use the fabulous EDpuzzle to embed formative assessment into my videos and then assign those videos to my students. EDpuzzle allows me to not only monitor student understanding of concepts discussed in the video, it also allows me to see how much time students spend on the video as a whole as well as on video segments AND lets me quickly view which students have completed their video assignment, and which still need to finish it. 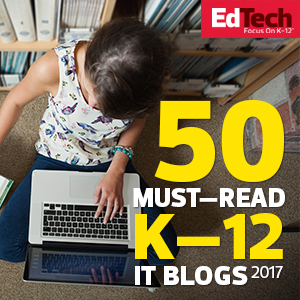 It’s SPECTACULAR and is one of the tools that have helped to make my flipped classroom successful! EDpuzzle integrates with Google Classroom which means I can import my Classroom rosters in EDpuzzle and can also quickly assign EDpuzzle videos as an assignment in Classroom! Fantastic!! Check out my posts about EDpuzzle here and my EDpuzzle tutorials on my YouTube channel here. As I take attendance, my students are locating their EDpuzzle assignment and note-taking document for that unit on Classroom, getting out their earbuds or grabbing some “Petty Beats” – these are headphones that students can borrow if they forget their earbuds at home … we have fun in my classroom!! As I take attendance, my students are locating their EDpuzzle assignment and note-taking document for that unit on Classroom, getting out their earbuds or grabbing some “Petty Beats” – these are headphones that students can borrow if they forget their earbuds at home … we have fun in my classroom!! As students complete their videos, I’m walking around with my iPad or MacBook monitoring their progress and providing feedback on their responses to the embedded formative assessment. One of the many aspects of my modified flip that I LOVE is that I’m there in the room if my students have questions about the content. It’s wonderful! Every day in my flipped classroom is NOT a video day. Some days, students are tackling unit vocabulary through Quizlet – Government vocabulary is TOUGH and foreign to my students. Other days, students are working together to create their own government, their ideal cabinet, a skit to portray the protections provided by a Constitutional Amendment, etc. We recently worked through a Structured Academic Controversy about the Electoral College … the response to that was fabulous! Read about my SAC here. Next semester, we will begin our branches of government unit and will work through one of my FAVORITE activities … creating bills simulation! Students will draft bills as the House of Representatives or the Senate that will apply at our school and will then present their bills to the President (our principal) to sign or veto. This activity is tons of fun! I’m also jumping headfirst into the world of Digital BreakoutEDU, and my students will attempt to “Free Congress” on our first day back. It’s safe to say that flipping my classroom has encouraged me to be a more creative, inventive, and flexible teacher. I love my flipped classroom … how does your flipped classroom look? Let me know in the comments!